The Twyford bath collection includes beautiful design, innovative solutions, and a quality that will last, giving you the bathroom that you want. From the tiniest design detail to ground breaking new technology, Tywford are always looking for bright ideas that will improve their products and maintain their exceptionally high built quality. 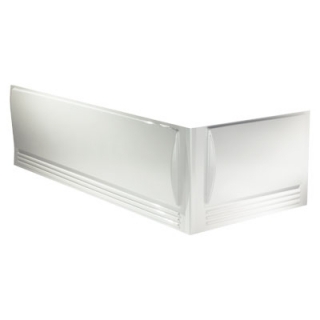 800mm x 518mm Moulded styrene 2mm thick Twyford Bath Panel.